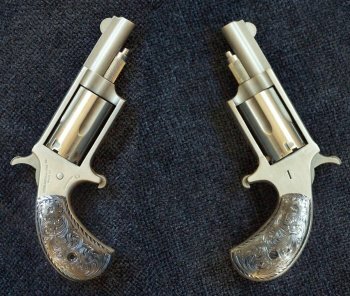 Inspired by the $98,000 diamond grips done by Bijan of Beverly Hills (see above), another manufacturer created an affordable version using cubic circonia, mounted on sterling silver palladium alloy grips. 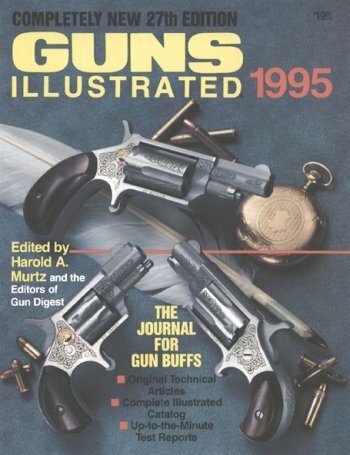 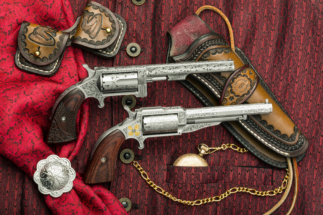 Baron Technology, Inc engraved this set of NAA Mini-Revolvers, featured on the cover of Guns Illustrated. 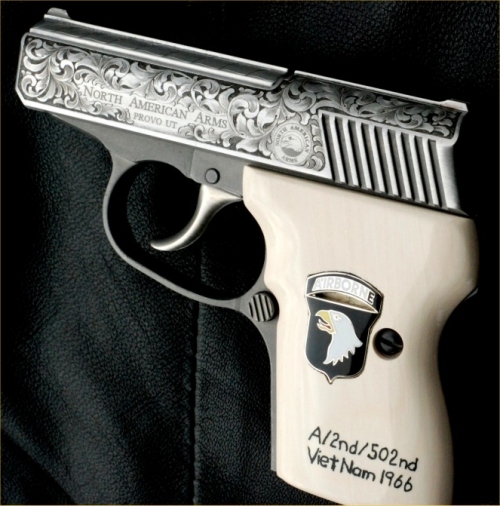 BTI does a great deal of engraving and gold inlay on firearms and cutlery. 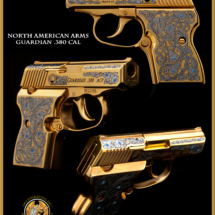 Defend yourself in style with a designer handgun from Bijan of Beverly Hills. 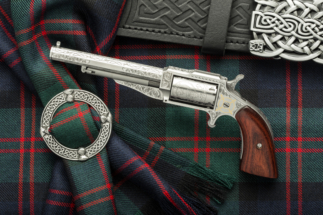 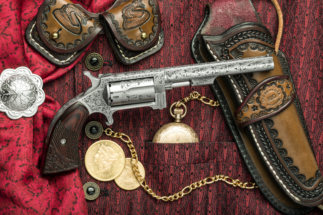 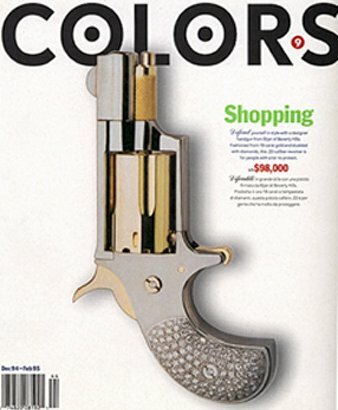 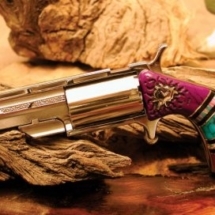 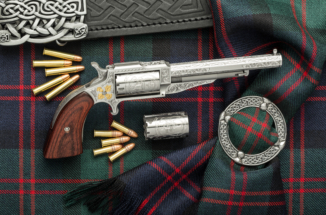 Fashioned from 18-carat gold and studded with diamonds, this .22 caliber revolver is for people with a lot to protect. 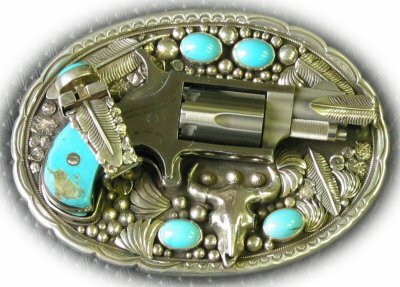 The belt buckle features beautiful silver workmanship with turquoise accents. 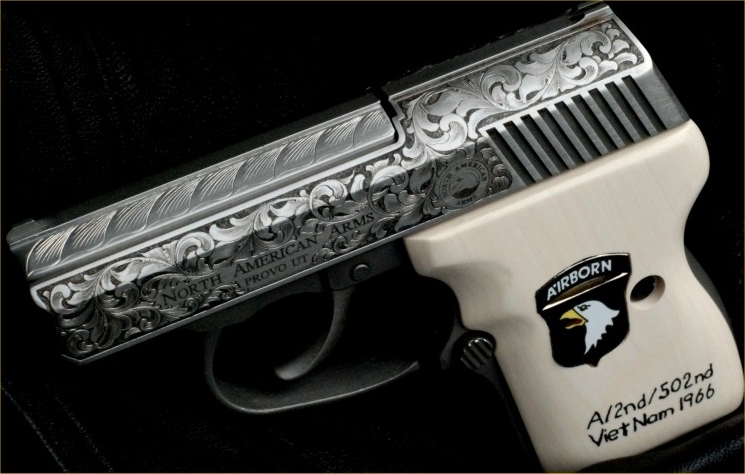 The gun shown here is our NAA-22LR. 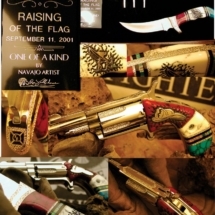 Contact Dennis Chavez via mail for more information. 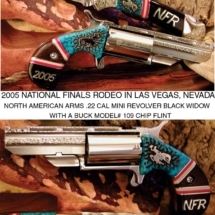 Contact Ron Yellowhorse at ry@yellowhorse.net or call 928-688-3192 for more information. 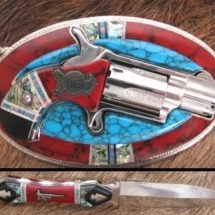 Following the Yellowhorse tradition after his father, using Turquoise, Red Jasper, Desert Ironwood, etc. 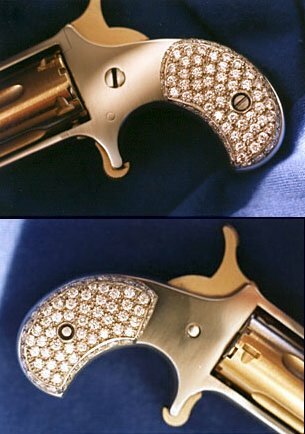 as Channel Inlay. 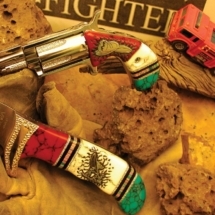 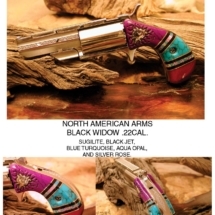 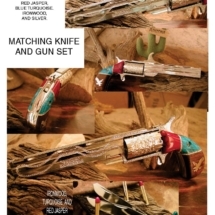 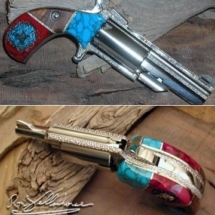 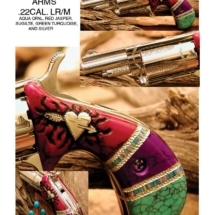 Ron Yellowhorse can personalize your guns with a Native American Theme, a company logo, or your own personal design.